As an industry that is crowded and growing ever more so each day, a battle to attract a shrinking pool of talented millennial hires has emerged among technology companies. YouGov, an internet-based market research service, recently evaluated more than 1,400 brands by polling 18- to 34-year-old millennials on the top 10 brands they would be proudest to work for. Unsurprisingly, this list is dominated by tech companies, with Samsung ranked at No. 6. Samsung Electronics America’s (SEA) approach to product innovation stems from its ability to continuously hire and retain its talent. SEA’s recruiting priority is to hire a diverse set of young, brilliant and innovative developers and designers who are slated to become the next generation of Samsung leadership. It has become critical for SEA to identify and drive new strategies to acquire highly sought-after employees and recent graduates, especially as the recruitment landscape and modern workforce begin to shift so drastically. Pradheepa Raman, who leads recruiting at SEA, provides an inside look into how Samsung finds and hires its millennial talent today. Q: How does SEA find the right candidates for its organization, and what drives young talent to work at Samsung? A: Samsung’s brand perception definitely helps in attracting top talent. 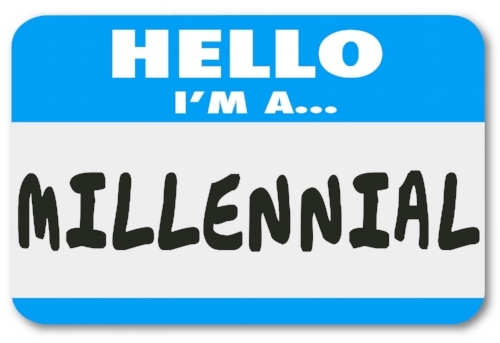 Millennials believe in companies that have purpose, that change with the times and contribute back to the society. Ultimately, there’s a strong importance on brands they trust. When it comes to hiring new talent, Samsung has a multipronged approach with heavy emphasis on targeted hiring. Approximately 50 to 60 percent of our hires are direct-sourced. We do not just wait for the right candidate to apply for the job. We seek out candidates with the education, skills and experience that are necessary for effectively performing in their role. When researching a candidate, we use professional social media and networking sites like LinkedIn to ensure we’re targeting the right candidates and reference employee referral programs. To provide students and potential employees with the right skills to succeed at Samsung, we’ve implemented fantastic university summer internship programs, an MBA Leadership Development Program and Global Opportunities. Q: How has the hiring landscape changed over the years? A: With the digital revolution, there are many ways an organization can reach out to students and young talent. But the real challenge isn’t about finding these applicants – it’s getting them engaged. It is a market where the most skilled candidates have many options. We remain authentic in our outreach and don’t oversell on perks, showcasing our compelling value proposition unique to Samsung to build engagement throughout the process. Samsung Electronics America prides itself on three pillars – great people, fast-paced innovation and a unique “East meets West” culture with endless growth opportunities. Q: What qualities does Samsung look for when finding candidates and how does this shape your corporate culture throughout the U.S.? A: At Samsung, we obviously want individuals with the right skills and proven track record of performance, but cultural fit is one of the most critical traits we look for in a candidate. This is important because it helps the employees succeed and allows us to retain our best employees. For example, I often tell candidates that collaboration is a key value we look for. Asking questions about how a candidate accomplished a goal or overcame a difficult task at work can help provide important insight when trying to decide whether a person should work at Samsung. Many of Samsung’s younger employees have a similar work ethic and drive that allows them to succeed and surpass even their own expectations. Samsung has a high-octane, rapidly paced environment that drives the quality and speed of our product innovation. You won’t get that same energy at every technology company out there. Being a part of a leading go-to-market organization means you’ll never be bored, and our employees embrace challenges as a team and turn them into success, both inside and outside of Samsung. No matter what we’re doing at Samsung, there’s always an opportunity to try and learn new things. Q: What advice would you give recent MBA graduates who are applying to companies such as Samsung? A: Do your research, be authentic and expand your professional network early in your career. Know your employer, the market and the competition. To stand out, do a deeper dive to really understand the company culture, leadership and its history before walking into an interview. It’s also important to be authentic during your interview. We don’t need you to know all the answers as long as you are willing to learn new things. The most crucial step in the job-hunting process is getting an interview. Recent graduates should network with professors and industry professionals, and be active in alumni organizations. Word of mouth is still one of the most successful ways for landing a job, and it provides immediate credibility. Finally, if working at Samsung is your dream job, don’t give up. Even if you aren’t hired the first time, everything is a learning experience when it comes to applying to jobs, and Samsung is looking for resilient candidates who are passionate about the company and can grow into a role.